Alright, so you’ve probably noticed that I’ve brought Laney Wylde and If She Were Blind to my blog twice already–once with an excerpt and then again with a Q&A. And now I’m bringing them up again in a book recommendation. I promise, though, that reading about them here multiple times is worth it. 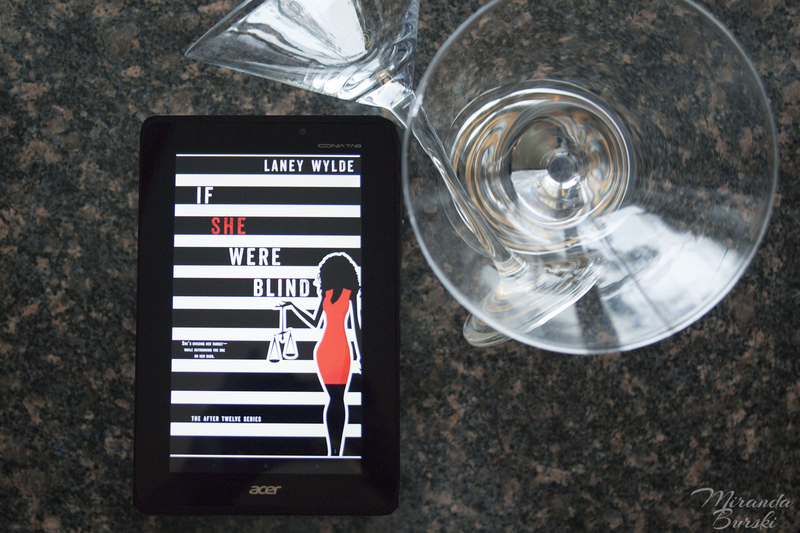 If She Were Blind is a great book; one of the most gripping I’ve read in a while, actually. I started it one afternoon, expecting to take at least a few days to read it. I finished it that same evening. Once you understand why I had so much trouble putting the book down, you might want to go ahead and pick it up yourself. Believe me, you won’t regret it if you do. Estlyn Collins’ “legal” service, After Twelve, may not provide the most traditional form of justice, but it gets results. Enough so that the business has earned a stellar reputation for being the place to go when the courts have failed you. But that backfires when one of the potential clients to approach Estlyn is seeking vengeance against her. Unsure of what to do, Estlyn seeks temporary solace in the arms of a man who, it turns out, may not be so temporary. Here’s the thing about If She Were Blind: It’s an entirely addictive story. Everything from Estlyn’s business to her past pulls you in and makes you want to learn more. And what you learn, somehow, drags you in even further. Not only that, but I love the very idea of Estlyn’s job. She helps people get justice when the court system has failed them. Yet, she doesn’t do it in ways that would be considered illegal. I can’t really say more than that without giving anything away; just know that what she does is creative and effective. It’s great. Like I said, the overall effect of all of this is that I ended up reading the book in less than a day, which is something that hasn’t happened in a long time. I just couldn’t help wanting to know how everything turned out, as soon as I possibly could. And I wanted to see if certain characters figured certain things out, and how they reacted if or when they did. There was just so much I needed to know.